518A. 1 Wellness Goal. 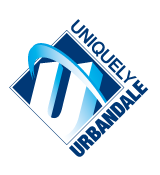 The Board of Directors of the Urbandale Community School District promotes a learning environment that supports students in developing lifelong healthy behaviors by supporting curriculum that teaches healthy practices and by supporting healthy nutritional practices and regular physical activity. develop nutritional knowledge, including information on the benefits of healthy eating, on essential nutrients, on nutritional deficiencies, on the principles of weight management, on the use and misuse of dietary supplements, and on safe food preparation, handling and storage. develop nutrition-related skills, including planning a healthy meal, understanding and using food labels, and critically evaluating nutritional information, misinformation, and commercial food advertising. assess their personal eating habits, set goals for improvement, and achieve those goals. meet, at a minimum, nutrition requirements established by federal, state and local laws and regulations. serve low-fat or fat-free milk and nutritionally equivalent non-dairy alternatives. be of appropriate portion size for each age group. 518A.4 Foods and Beverages Sold To Students During the School Day Outside of the Meal Program. Foods and beverages sold to students on school grounds during the school day (or to students enrolled in Adventuretime) in vending machines, school stores, or otherwise, shall meet nutrition requirements established by federal, state and local laws and regulations and portion size guidelines and shall be healthy choices. Foods of minimal nutritional value (FMNV) shall not be sold to students on school grounds during the school day or during participation in Adventuretime. Snacks which are to be shared must be store-bought, pre-packaged items or items purchased through the District’s food service program or through an otherwise licensed food establishment. Parents are encouraged to visit their childrens’ schools and to eat school meals with their children. Parents shall be discouraged from bringing fast foods or foods of minimal nutritional value into the schools. 518A.6 Foods and Beverages Made Available to Students Outside of the School Day. Vending machines on school grounds which are accessible to students outside of the school day may offer a variety of products, but shall include a selection of healthy choices and shall not have super-sized portions. Healthy choices in food and beverages shall be made available at concession stands operated by the District or by parent or student groups. 518A.7 Fund-raising Activities. The District promotes the sale of healthy foods and beverages and of nonfood items for school fund-raising activities. The District encourages fundraising activities that promote physical activities. 518A.8 Physical Activity. The District shall provide opportunities for every student to develop the knowledge, attitudes, behaviors, and skills to regularly participate in physical activities and to understand and enjoy the benefits of a physically active lifestyle. Moderate to vigorous physical activities shall be integrated into the sequential, comprehensive physical education program taught at every grade level from prekindergarten through twelfth grade. Physical activities are also encouraged in other classroom activities. Instructional activities shall stress the appealing aspects of physical activities and shall be participatory, developmentally appropriate, and enjoyable. The program will encourage families to be partners in the students’ physical education. The District encourages moderate to vigorous physical activities during supervised recess time. District personnel shall not withhold opportunities for physical activity as a punishment except for good reason, such as during an in-school suspension time or pursuant to a behavior management plan. 518A.9 Modeling. All District personnel should model healthy nutritional and physical activity practices. The Board of Directors discourages staff from consuming foods of minimal nutritional value or not of appropriate portion size in front of students. The Board of Directors encourages the promotion of wellness education for staff as well as for students and encourages healthy choices in vending machines in staff areas. 518A.10 Information Dissemination. The District shall regularly provide staff, families and students with information regarding healthy nutritional and physical activity practices. 518A.11 Assessment of Effectiveness of Wellness Education and Practices. The Director of Teaching and Learning shall be responsible for communicating information and for implementing the District’s wellness program. The District shall utilize a wellness committee to assist in periodically assessing the effectiveness of the wellness education and practices of the District. An attempt shall be made to have parents, students, a representative(s) of the District’s food service, a District physical education teacher, other staff members, an administrator(s), dietitians and other health professionals, and recreation program representatives on the committee. They shall assist the Director of Teaching and Learning in preparing an annual report to the Board of Directors on the effectiveness of the program in promoting healthy lifestyles and in making recommendations for improvements in the District’s wellness program. The District’s wellness committee will review and provide feedback on triennial assessment, compiled by the Director of Teaching and Learning. Revisions shall be made to this policy as deemed necessary, with involvement of the District community and general public as appropriate.